Whether you’re currently rocking social media marketing like a pro or want to start investing in it, the only way to know what’s working is to set goals. But how can you measure goals when they are abstract? 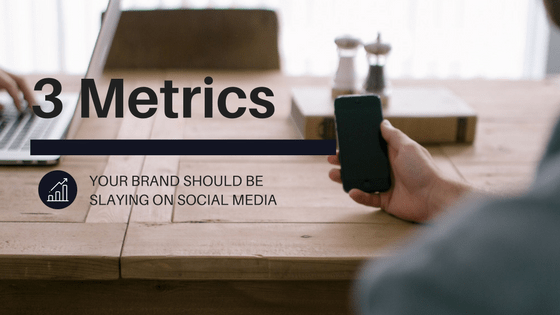 With over 60% of business owners saying their biggest challenge is measuring whether their investment on social media is actually worth it, I want to highlight 3 social media metrics you can actually measure. Reach tells you how many people have seen your content. With the content overload your business will be competing with, it’s important to make sure your posts reach your audience in the first place. This metric can be frustrating at times. Reach is directly correlated to a social network’s news feed algorithm so there isn’t much you can do about it other than shift your strategy and watch it work. Staying on top of social network updates and how they affect your profiles keeps you on top of the game. The quicker you can adapt to change, the better your strategy can perform. This is the first thing you want to start measuring and the Socially Intuit team considers the most important social media metric around. It’s essentially the best way to see what kind of content your audience wants to see. It’s crucial to monitor engagement as your following increases. Sure, a large number of followers is impressive but does it really matter if they aren’t engaging with you? Before you’re able to sell a product, offer a service, gain subscribers, or support a cause people need to know who you are in the first place. Think of social media posts like virtual flyers that support your brand image. Consistently share content that’s useful to your audience and you’ll be on your way to becoming a leader in your industry while building an online brand you can be proud of. What metrics is your brand struggling with? Find out how Socially Intuit can help and contact us today.